With the popularization and improvement of social and industrial IT development, information appears to explosively increase, and people put much higher expectations on the services of computing, communication and network. Today’s public communication network is developing in the direction that networks are widely interconnected using communication network infrastructure as backbone and Internet protocols; at the same time, cloud computing, a computing paradigm in the ascendant, provides new service modes. Communication technology has the trend of developing towards computing technology and applications, and computing technology and applications have the trend of stepping towards service orientation architecture. Communication technology and information technology truly comes to a convergence. Telecom operators are planning to be providers of comprehensive information services in succession. To adopt cloud computing technology not only facilitates the upgrade of their communication network technology, service platform and supporting systems, but also facilitates the construction of the infrastructure and operating capacity of providing comprehensive information services. 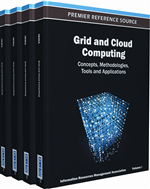 In this paper, the development processes of public communication network and computing are reviewed along with some new concepts for cloud computing. The development of communication network has mainly experienced five stages, electromechanical switch, stored program control switch (SPC switch), value-added service (VAS), softswitch and IP multimedia subsystem (IMS). The development itself is the increasing process of computing elements. The switch evolvement from electromechanical to SPC is a significant change of telephone communication in the 20th century, which has immensely heightened the communication quality and efficiency. It provided more convenient service to clients. The third-generation telephone network evolving from SPC to softswich is another big change. It is essentially distinguished from current telephone network in the aspect of operation mode and profit model. IMS references the irrelevance of accessing in the softswitch, and also its functional improvement made the network architecture more open and more flexible. IMS made the seamless integration between all-IP network and public service telephone network possible, and made the resources more unifiedly manageable. The pre-stage of SPC is mainly telephone communication, i.e., the manual operator services. Operators should finish each call connection manually. Control the consecutive automatic electronic switch using the pre-compiled program. The system adopts SPC is called the program controlled system, which complete the control to switch through the interaction of software (program) and hardware. The evolvement of SPC includes three stages of space-division, simulation technique and digital technique. Beginning in the 1990s, many value-added services was introduced into SPC exchange, bringing a further functional improvement in it (Ali, 1986). By means of resources and other communication facilities in the public telecommunication network, VAS could provide consumers more highly and diversified information basing on the guarantee of basic communication needs. VAS is an integrated service combined voices, images and words. To provide VAS, specific service logic and service environment running on computer servers were gradually introduced, including SMS, CRBT, MMS, WAP and other varied VAS groups (Houssos et al., 2002). The basic principal of softswitch: soft the traditional exchange equipment component, and realize call control and multimedia processing using computing technique. Basing on the IP network, IMS is a network architecture which provides voice and multimedia service. The main feature of IMS includes uniform user data, uniform and open application/service layer, uniform call session control. IMS further separates service/application and control. Moreover, it concentrates user data, and is irrelevant to access technology (Loreto, Mecklin, Opsenica, & Rissanen, 2010). The application of IMS makes the control to system environment much easier, and the user experience is much better because of QoS, single sign-on and customer service. As a new service form, IMS could now satisfy terminal users with novel and diversified multimedia service. Softswitch and IMS network have totally relied on computing technique. They employ standard protocol and software, and introduce large numbers of calculation servers into network entity. The VAS capability and application have been totally a computer system platform. The purpose of data communication is to complete information transfer between two computers, and between computer and data terminals. Data transfer should be done to realize data communication. Data information, which generate from one data source, are transferred to another data receiving set via data communication network. The development of this switching technology has gone through the stages of circuit mode, group mode, frame mode and cell mode. Circuit mode transfers information from one point to another, and fixes the occupied circuit bandwidth resources, such as DDN special line. Group mode divides information into packets with certain length, then store-and-forwards those packets. Early typical packet switching network is “X.25 Network”. Frame mode simplifies the process of error recovery and congestion avoidance between packet switches, and its typical technology is frame relay. ATM, which was the development peak of circuit switch and packet switch, is sometimes called cell relay. Ethernet has the advantage of cheap cost and flexibility. With the acceleration of global networking, widespread PC use and emergence of electronic commerce, Internet technique basing on the Ethernet was commercialized rapidly. Entered for the 21st century, industrial circles have been trying to build a uniform network platform one by one. It could provide multi-service on a MPLS-based platform simultaneously, including the service of voice, traditional data (frame relay, ATM, circuit simulation), Internet, video conference, video phone, and mobile data. The platform maintains the flow control technology, and solves the problem of QoS which can’t be guaranteed by IP technology. Meanwhile, by utilizing the technique of virtual router, it provides a practicable technological approach to the Next Generation Network (NGN). It can be seen that the development of data communication plays a predominant role in promoting computer technology, while the computer communication network, computing-based application and service also promotes the up-to-date data communication network.